#UniformGoals: Showing Huskies how to cycle in style. Kids on bikes is a good thing. Kids training together, racing as a team and working toward goals: even better. Shouldn't they look good while doing it? 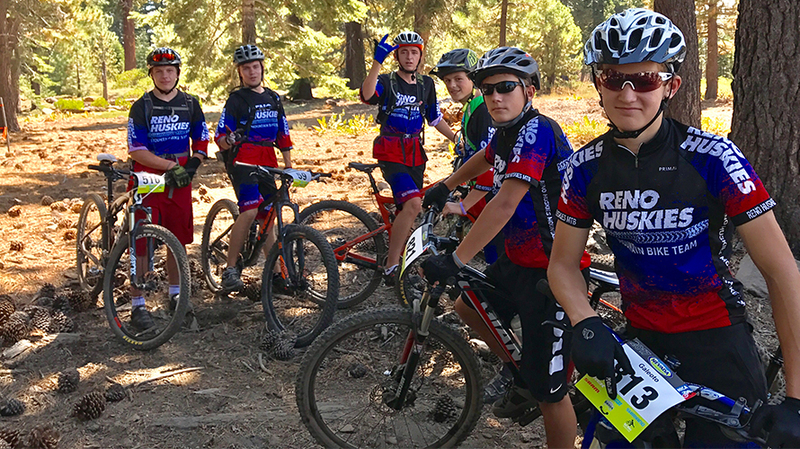 So we donated creative services for the Reno High Huskies Mountain Bike Team, designing racing jerseys and shorts, team t-shirts and a team tent.